Yesterday was a good day for cryptocurrencies in general. Bitcoin is up and so are most coins under our focus. 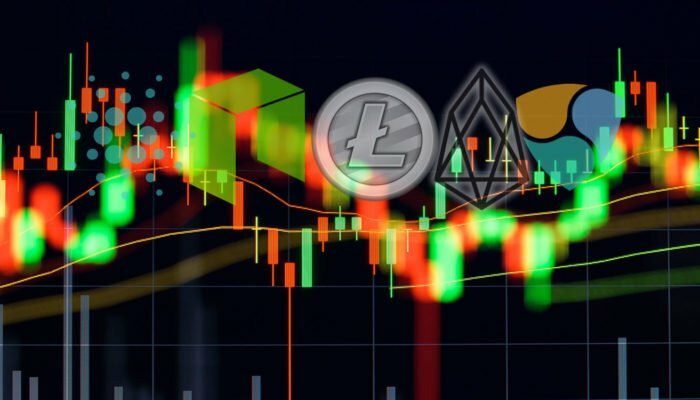 Not surprising for me to see EOS in the top 5 spot replacing Litecoin. Sad for the ever-vibrant Charlie Lee and Litecoin Foundation’s ambitions of making LTC a crypto choice for merchants but at the end of the day, tides may change. 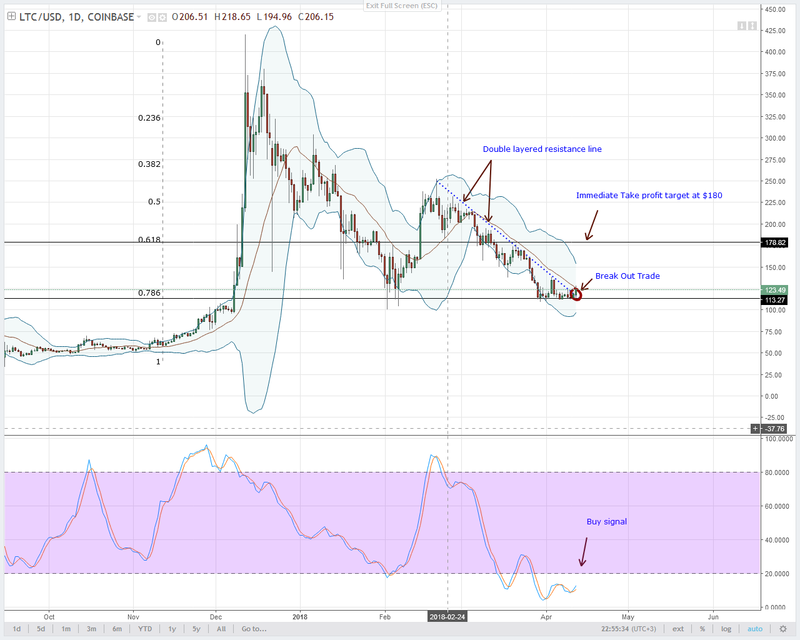 In my view, I expect Litecoin to recover and even test $180 in the coming days. It’s quite ambitious and so is my IOTA projection. 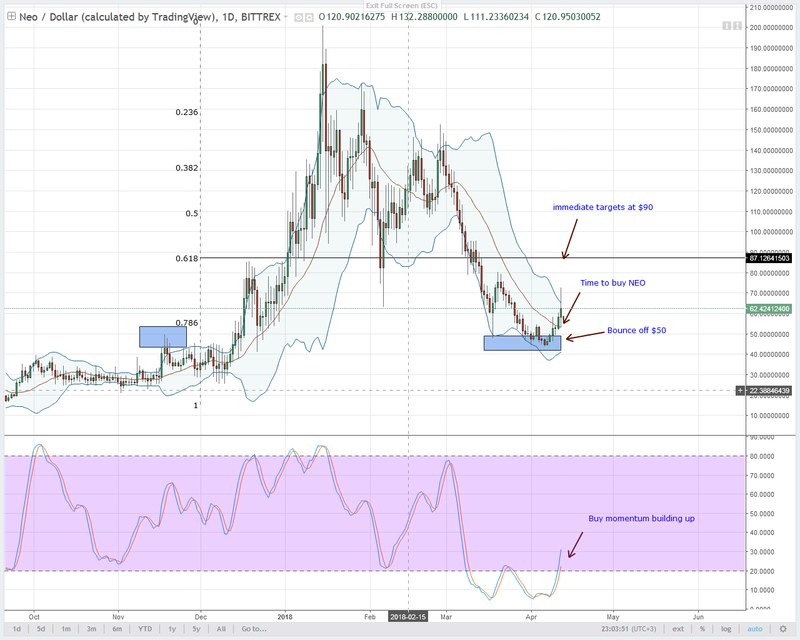 From our IOTA technical analysis, we maintain a bullish stand and if prices expand at this rate then $3 will be a ripe target for buyers and IoT believers. The top 10 is green and so is Stellar. After periods of necrotic bear market, there is a revival in the markets. 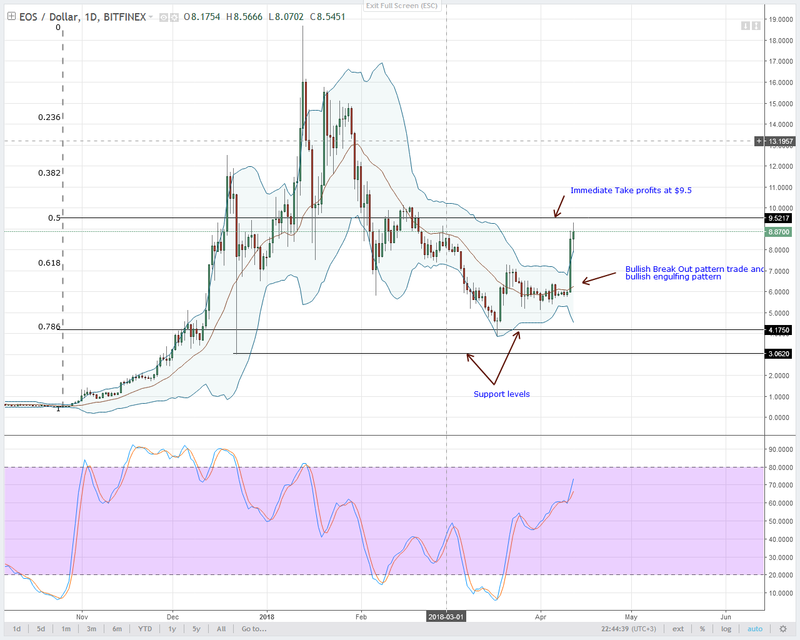 In my view-and despite the lack of headline making news in the last 24 hours, our Stellar Lumens technical analysis points to a possible higher highs in the coming sessions. Because of this general skew, we should move a notch higher where the daily chart gives a clearer picture of this technical formation. As visible from the chart, Stellar is pushing up and following a 12 percent gain in the last 24 hours, prices are now trending above the middle BB. The thing is, buyers are pushing higher and basically this is a follow through of a bullish divergence pattern which has been in formation since mid may. 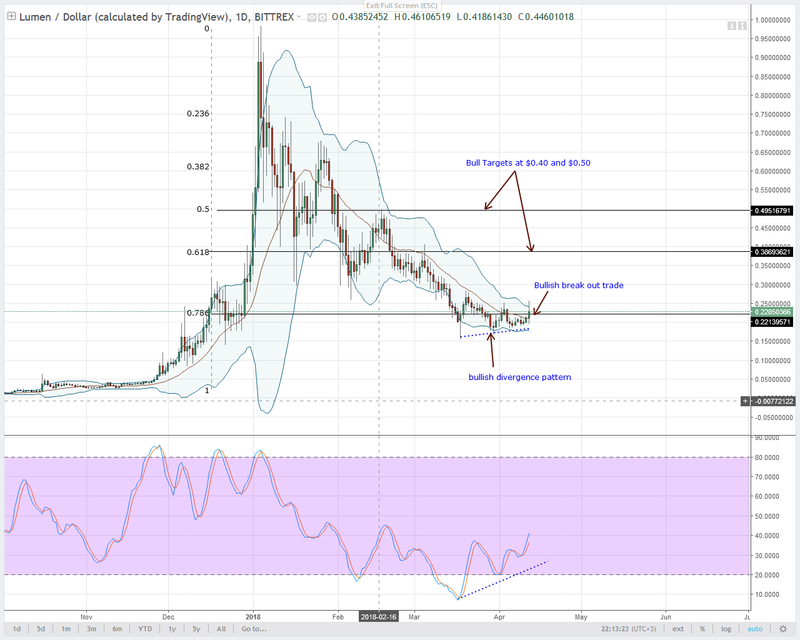 Our initial targets at $0.30 are short term targets. In the real sense, buyers should look for a 2X gain and $0.40 looks like a perfect target. A technology that solves real world problem is bound to explode-regardless of short term obstacles. Fortunately, IOTA is setting the ball rolling when it comes to a world of interconnected devices and IoT. The EU is talking about it and sooner or later, if there is widespread adoption, prices might explode and slice through $5.5. 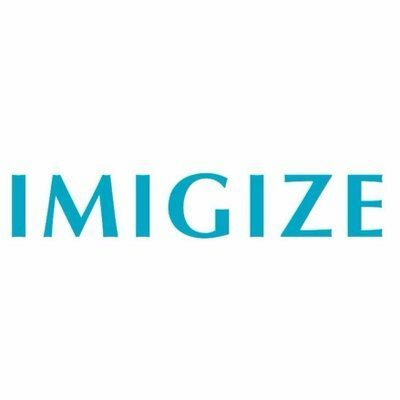 Besides real-world demonstration of the use of IOTA as with DXC, news is we expect common wallets like Ledger Nano, Romeo and CarrIOTA to support IOTA in the coming weeks. Of course such is awesome news and a big plus in a day which saw IOTA growing 20 percent. Chart wise, there is a clear break out trade visible in the daily chart. It’s therefore not rocket science that buyers may look to follow through and because of this, I place a moderate take profit targets of $3-the 50% Fibonacci retracement level. Anyhow, what could be behind this EOS price pump? 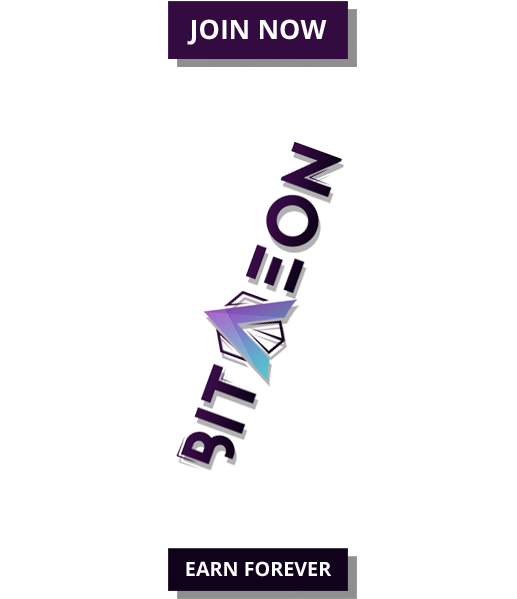 Is Antpool (Bitmain) accumulating EOS on the main blockchain so as to destabilize it in favor of their DPoS and become a BP? Or, are investors flowing in to EOS because of EOSDAC Airdrop on April 15? Let’s not forget there is a newsletter from Weiss Rankings stating that EOS is apparently nice product with value. All these might be working together but obviously those who got in earlier are in the green just like EOS which is up 16 percent in the last 24HRs. Inevitable, there is a flip and EOS is now the 5th most valuable coin in the world. Like the rest, you can make money if you look for EOS buy opportunities in lower time frames. Without being over ambitious, buyers should place reasonable targets at $12 with expectations of cashing out in the next few days. Unfortunately for Charlie Lee and Litecoin Foundation, the prestigious top 5 spot is gone. After periods of price stagnation along $110, EOS usurped it after a 30 per cent gain in the last 24 hours. Luckily for Litecoin, there are some nice technical developments in the chart that is supportive of value. As we can see, besides the accumulation and the bullish divergence, there is a buy signal and a crucial close above those two key resistance levels. 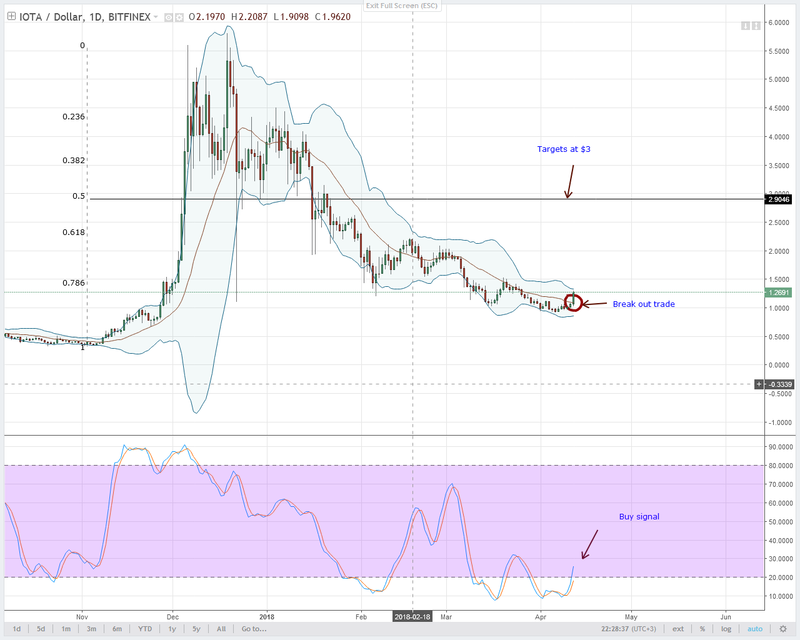 The middle BB and the resistance trend line has been strong levels for buyers to break above in the recent past but with cryptos finding favor once more Litecoin is up 8 percent after under-performing for a while. In my view, I will look for more Litecoin buys in lower time frames and this time, our targets are at $180. 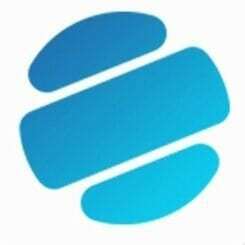 All in all, apart from recovering NEO prices, there is more upside for this smart economy platform. UpBit, Korea’s largest cryptocurrency exchange now supports NEO Gas distribution. That’s not all. On the development front developers can now build their own smart contracts using the NEO’s new NEOCompiler Eco version 1 available at GitHub. Most importantly, this development is open source and surely provides an easy access to NEO ecosystem. NeoCompiler, a set of open-source online compilers for the $NEO platform, created by Igor and Vitor Coelho. Technically, our NEO technical analysis point to buys and it would be unwise to fade the markets. Look for under-valuations or stochastic buy signals in 30 mins or 1Hr charts and buy with targets at $90 as per our previous NEO technical analysis recommendation.